KIMBERLEY EXPERIENCE – Mitchell Falls & King George Falls Faraway….. Exciting new package for 2016. Mitchell Falls King George Falls, overnight stay at Kimberley Wilderness Adventure Lodge APT, 3 nights at Faraway Bay. Helicopter flight over Mitchell Falls, tour Kalumburu Community and Mission. 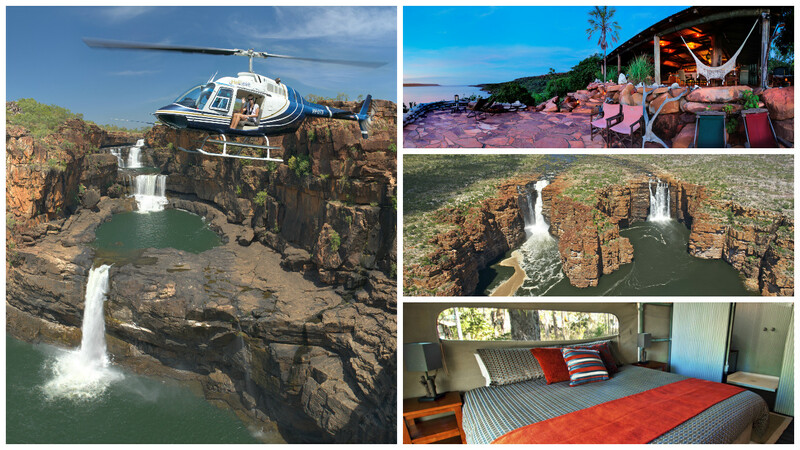 Fly over breathtaking East Kimberley, Central Kimberley Land and Coast line. Click here for all tour information. I am trying to plan for my vacation in 2020. I would like to know more about the tour of King George Falls and stay at the faraway bay resort. I can only tour between Sunday and Friday. It would be good to include a tour of Mitchell Falls area.also. . I am a single traveler and a pensioner. Could you please send me prices for just King George Falls or King George Falls and Mitchell Falls. Thank you. I suppose I will have to start saving up big time.